Today, corrective cosmetics is a real alternative to addressing non-pathological cutaneous imperfections and skin discomfort. Skin ageing, spots, blackheads, redness, dilated pores, micro-cysts, dull skin tone, tightness…result for the most part from a dysfunction of the skin’s natural functions. Dealing with these disorders, restoring a healthy and balanced skin requires adapted corrective care that perfectly respects the integrity and biological functions of the skin. With his knowledge of biology, the epidermis specialist is able to choose a suitable care treatment once he has identified the root cause of the problem. Dr. Reiner Janka line, , of pharmaceutical nature, features care products (cleansers, creams, scrubs, serums, masks…) containing formulas very rich in active ingredients and developed in full respect of the skin pH. These products provide all the active ingredients the epidermis needs to function properly and remain balanced. Our formulations contain a high concentration of antioxidants, vitamins (B, C and E), vitamin A (retinol), coenzymatic factors and elements of plant origin (of a composition very similar to the proteins found in the cutaneous tissue). All these actives help the skin successfully fight against aggressions, disorders and the passing of time. For visible results, it is essential to analyse the skin and provide suitable care treatments based on the data collected. 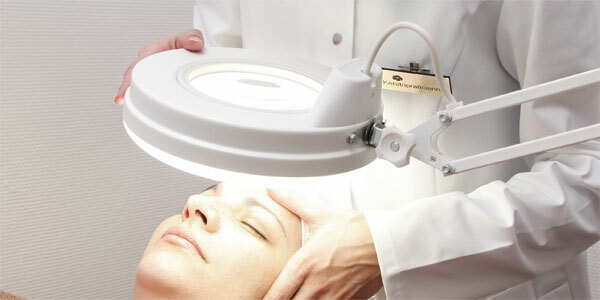 Our approach takes into consideration all the factors that may disrupt the skin’s natural balance. A deep understanding of the way the skin works complements the effectiveness of our corrective cosmetic line. For this reason, the combination of Dr. Reiner Janka face and body care products with the expertise of professionals trained in our specific method, KERATOPRAXIE®, provides a real solution adapted to everyone’s needs.